The lecturing staff of Bell Institute of technology use all modern methods of training these practical-oriented courses, with extensive use of visual aids. The students are oriented to get everyday happenings of the world around them, thereby making them more diverse and relevant in their respective fields. Our lecturers possess impressive credentials, and experience in the relevant field, making them capable of anticipating every individual students needs. The students are encouraged to explore their creativity without any inhibitions. We have a team of twelve dedicated, full time lecturers, and five part time staff, and growing. Our tutors are industry professionals. They have years of experience and are experts in their fields. Your tutor's role is to provide you with feedback on your assignment projects and guidance in your direction. They will encourage you, highlight your strengths and weaknesses, and will support your learning. In addition, you will find our Student Advisers friendly and supportive. They will help you with your requests and provide you with valuable assistance in things such as computer issues, career advice, employment and freelancing matters. You can even ask for assistance from the Principal, who will give you invaluable feedback on your job application, your freelance business promotion and startup business matters. 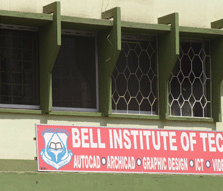 Bell Institute, off Moi Ave.
Mr. Idi is the Training Manager as well as one of the Instructors. Mr. Idi has lots of experience in the ICT field having worked at Diamond Systems Training centre, Jomo Kenyatta University of Agriculture and Technology, Nairobi Institute of Technology and currently at Bell Institute of Technology. He has a lot of expertise in Networking, ArchiCAD, AutoCAD, database management, A+, N+ and CISCO training. Many of our students have gained from valuable work experience. He has attended Technical Server course in South Africa, Midrand City, IBM complex. Mr. Idi has worked with Major ICT companies in East Africa such as the Copy Cat Limited, Amarco Limited and Technology Today where he served as the Technical Manager. His past network has enabled many of our student’s secure ICT, Graphic Design and Animation jobs and internships within the industry. He engages our students in many brainstorming sessions in enterpreuship and business start-up management. Indeed, he has enabled many of our students start up business on finishing the course. He engages with parents to support their sons and daughters create companies. He is a strong believer in enterprenneurship. Welcome, Talk to him any time. Mr. Migwasi has developed his keen interest in Technical Drawing and Design over time. He has studied an advanced course in Architectural Design and Building Construction. This actually makes him very comfortable training our Engineering, Building and Architectural students in AutoCAD and ArchiCAD, his specialty. He also does commercial designs of both residential and commercial buildings to approval level. Many of his designs have been built into actual buildings. One thing our students admire on Mr Migwasi is his patience with CAD students from different backgrounds. Feel free to consult and discuss all your CAD classes with him. CAD runs in his mind. One of our senior most, well experienced CAD instructor. Mr. Yobera has over 15 years CAD experience in Mechanical Designs, Civil Designs, Building Designs, and Structural Engineering Designs. Over time, Mr. Yobera has worked in various projects within the East African Region in all aspects of CAD Designs and implementation. Now, you want to study AutoCAD, PROKON or STAAD, then, for sure, you will be delighted with him. He is purely a Technical Design man with overwhelming experience in CAD. He also does Engineering CAD design consultancy to major engineering firms within the region. Meet Irene, Our face at Bell Institute of Technology. Irene is our administrative Assistant at the Front office. She will be the first person to meet at the college. Irene will explain to you the course details, the duration of the course, course costs and any other information you may be interested in getting before you actually register. For sure, Irene is very friendly and helpful from the first day to your last day at the college. She has a lot of exposure and experience in Office Administration and Front Office management tasks. This has enabled our students register for courses with full information, no later surprises. Pay us a visit, have a chart with Irene. She will be more than glad to serve you. Mr. Alfred has been with Bell Institute since the year 2006. He is our lead Graphics Instructor. Over 300 Graphics Designers have passed through his hands. To-date Mr. Alfred Specializes in 2D Graphics. He specializes in Training Photoshop CS, Illustartor CS, CorelDraw, Macromedia Flash, Macromedia Dream-weaver, Quark Express, and Adobe In-Design. Mr. Edwin is the instructor in charge of Animation and Multimedia Design. He trains Modeling, Texture, Animation and rendering techniques in 2D and 3D animation. Animation is one of our courses that attracts many students to the college. Mr. Edwin receives students from various backgrounds, in fact, some join him when they have even never used computers before but have very keen interest in animation career. He is able to advice in all areas of animation to very advanced level. He holds a Diploma in Animation and Special effects in 3D Animation. Our students have found him to be very resource full and have continuously introduced there friends to his classes. He is always delighted to show you his past students works, just in case you need to relate to your interest. He also trains Corel Draw, Photoshop, Illustrator, Macromedia Flash, and Free hand design skills. Come see what he has to offer you. Mr. John, popularly referred to by the Students as the Video Master is the instructor in charge of Video Training. He holds a Diploma in Mass Communication specializing in Video Production from the Kenya School of Mass communication. He joined us when we were just starting the department He has worked tirelessly with limited resources to the extent that we currently regularly register averagely 30 Video production students per Semester. Many of our video students refer to him as the master. Mr.Francis Musembi is surely the one to train you if you’re interested in ICDL, Computer Applications, and Accounting programmers as QuickBooks, Sage, and Pastel. holds a Diploma in IT and has over two and half years experience in Training and Accounting systems implementation. He would be glad to offer you any specialized application or accounting course at a time that really fits your busy schedule if you are working or in another course. Meet Mr. Musembi at our ICT training centre. From the Basic of “What is a Computer?, to the more advanced courses in Design and Accounting programs, surely, He would take you on a step by step journey. Many of our Younger and mature older students really enjoy his classes. Why not Join Mr. Musembi in one of his sessions and witness his skills and experience? 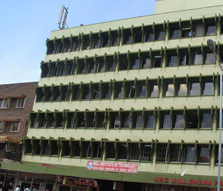 P.O Box 6560, 00200, City Square, Nairobi.